DJ Khaled’s son Asahd Tuck Khaled, who is just six months old, already has a pretty prolific career as a music producer. 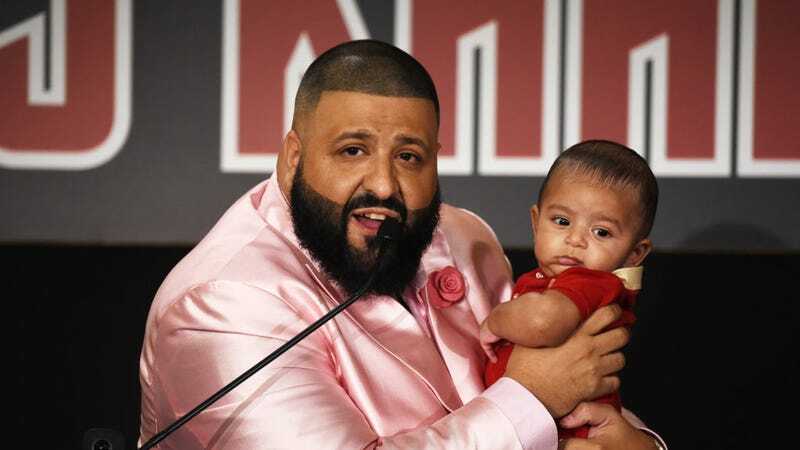 In March, when he was just four months old, he became the executive producer for Khaled’s new album Grateful, which includes the brand new song “To the Max” featuring Drake. But Asahd isn’t the only baby with a career in music. Rather, he is just one baby icon among many. Before she had two new siblings on the way, and before she was dressing in matching outfits with her mom, Jay Z and Beyoncé’s daughter Blue Ivy was a tiny baby with a fire new feature crying on her dad’s song “Glory.” She was just two days old. What were YOU doing when you were two days old? Apologies to Blue Ivy and Asahd, but Jordy is clearly the most iconic musical baby of all time, who was the youngest artist ever to have a #1 charting single. The song, which translates to “It’s Tough To Be a Baby,” is a vulnerable, heart-felt portrait of life as baby with Jordy, clearly drawing from real-life experiences for his songwriting. It is also a total banger. While not as prestigious as being executive producers, both North (three years old) and Saint (a little over one year old) were credited as “creative consultants” on dad Kanye West’s album The Life of Pablo. I pray for their solo albums every day. The mysterious cooing baby of “Are You That Somebody” has appeared on a few songs before Aaliyah’s, like Prince’s 1982 song “Delirious” and the Rascals’ 1969 song “Look Around.” Reportedly first culled from a 1960s-era sound effects volume, the identity of the famous baby is still unknown. While not quite a baby, composing prodigy Saint-Saëns began to first play piano by age two-and-a-half, and could read by age three. Asahd has some time to live up to that, but I’ll be watching him very closely. VERY closely. This insane baby DJ who won Jezebel’s hearts and South Africa’s Got Talent back in 2015 when he was only three years old probably puts all the Brooklyn baby DJs in training to shame.